Beginner Dron owner’s trouble | I do not know where to skip! · If it is a drone below 200 g outside legal regulation, I managed to manage it even in a time zone that was not popular in a nearby park. I bought phantom 4, but I do not know where to skip. · I saw various sites and books, but I do not know where to end the drones after all. Especially if you are a novice dron owner ought to have such a trouble? That was exactly the way I was. This condition that often comes out when you examine it in! ➡ ︎ Do not fly around the airport! ➡ ︎ It is understood by examining it. It’s DID if you enter the city or a little around the station, but it’s easy to find out here! ➡ ︎ You can not skip that height! 1 Night flight is prohibited: In principle Drone’s flight is from sunrise to sunset. Taking a distance of 30 m from two people or objects: It is necessary to keep a certain distance from those not being photographed. ➡ ︎ Do not even get close to such a person! 3 Flight over the event: In case of festivals and events, it is basically prohibited and permission etc. of the organizer is required. ➡ Do you skip it? 4 Invisible flight: Permit is required for flight at a position that can not be confirmed directly by oneself. ➡ ︎ It is not that level yet! I just want to know where to calm down and fly. 5 Transportation of dangerous goods: Prohibited. It will be returned in one word. There is no way I can return my feelings very well. t Application” and getting approval! Does anyone think that the blood vessel is about to break? Well, I will think about it calmly. I arrived at three of them. However, I think that some people take quite a while to go to the sea and the mountains etc. I would like to find a place that has some places and conditions after all in the near future. 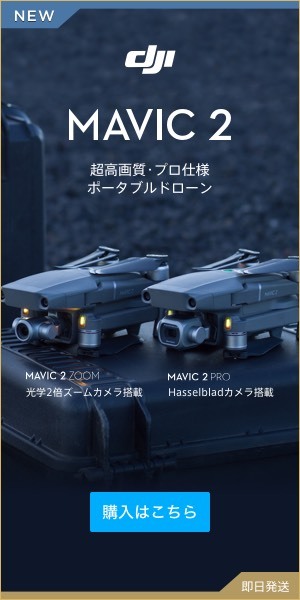 But if you already purchased phantom and you want to apply for flight in the future and want to enjoy the aerial photograph etc in earnest, you must get 10 hours of drone practical maneuvering time and apply for flight permission by the Ministry of Land, Infrastructure and Transport Where you want to want. The one left in “river bed”. I got the ideal practice place using a certain method. This time we will introduce an efficient way to find this “river bed”. Use Google Maps | Street View. It is a screen like this. Let’s register those who are not using immediately. So I will search for a little big river in the neighborhood near my house. In my case it was the river river and Sakagawa. So I will use Street View. A blue line appears like this. What a real map is displayed. And we can walk on this map. You can concentrate more and more by tapping in front of the road like “tap fly” of phantom 4. In a blink of an eye the riverbed was quickly found. After that, please check “SORAPASS” to see if the area is densely populated, and if it is okay go to the actual site actually. For details on how to use SORAPASS, please click here. Japan’s first drone map service “SORAPASS” | Actually used it! My sanctuary found in this way is here! I have found a very good drone practice place. When writing this article, I have looked for other places to look for, but in 10 minutes I found some “riverbeds that could make me dash the drone”. Well, on Google Maps there are somewhat different appearances from the present, but when you actually go, you find better places in places other than those you found on Google Maps. · Please use the street view of Google Maps to find the nearby ‘riverbed’. · Please check to make sure that it is not populated by “SORAPASS” in densely populated areas. I solved it with two words. What are conditions under which drone can not steer [weather · place · law].